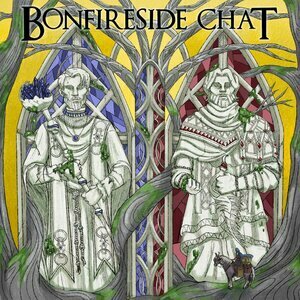 We found 8 episodes of Bonfireside Chat with the tag “related media”. Gary Butterfield and Kole Ross talk about two Souls-related classics about archaeology, exploration, paranoia, and contagion: H.P. Lovecraft's "At the Mountains of Madness" and John Carpenter's "The Thing". Gary Butterfield and Kole Ross go in-depth on two Souls-related pieces of fiction: Uzumaki by Junji Ito, and The Shadow Over Innsmouth by H.P. Lovecraft. Gary Butterfield and Kole Ross discuss three H.P. Lovecraft stories: "From Beyond", "The Call of Cthulhu", and "The Colour Out of Space". Gary Butterfield and Kole Ross talk about the Dark Souls II promotional comic, "Into the Light". Then we do some freeform Q&A. Gary Butterfield and Kole Ross talk about Berserk in other media, and then wrap up with our thoughts on the Dark Souls Deisgn Works book. Gary Butterfield and Kole Ross talk about the Conviction Arc of the Berserk manga. Gary Butterfield and Kole Ross talk about the first two arcs of the Berserk manga.